You can’t prevent every injury at your family entertainment center (FEC). The abundance of variables with mechanical parts and the boundless potential for human error are too vast to reduce injury risk completely to zero. But you can reduce the likelihood of getting sued. These four tactics can keep your customers safer while making it more difficult for opposing counsel to prevail in a lawsuit. Show compassion after an incident, but do not admit liability. Fessing up that an incident was your fault narrows your options in litigation. Attorneys strongly advise against it. Once you’ve addressed the injured person’s immediate health concerns, document everything that happened as soon as possible. Take lots of pictures and get statements from victims, employees, vendors, and anybody else who might have been a witness. Create a digital storehouse for images and documents, and make sure to back it up. Stop using devices or attractions that have malfunctioned, but do not destroy or remove them. Create an incident report that is neat, concise, and easy to read. Do not give the report to the injured person. All of these processes give you an opportunity to reassure the victim in an incident that you are taking great care to ease their pain, find out what happened, and prevent it from recurring. In a notorious 2010 incident, an operator error caused a 12-year-old girl to plunge 100 feet from a ride at an amusement park in Wisconsin. She survived, but the fall broke her pelvis and spine, requiring years of rehabilitation and recovery. The ride operator was convicted of felony second-degree reckless injury. The park settled with the girl’s family for an undisclosed amount. Vetting employees carefully and running background checks. Creating robust training protocols and publishing them in a booklet or pamphlet. Placing safety warnings prominently in high-risk areas. Establishing protocols for rapid response to incidents. Creating accident-response and first-aid drills, and running them every few months to keep workers’ skills fresh. Creating policies to preserve the evidence at the scene of an incident. Developing media/press management strategy to help control the public relations aspect after the incident. These activities reduce risks while protecting your patrons and coworkers. They also provide a measure of protection against a negligence claim. When something goes wrong, you may end up paying for a portion of the resulting damages. However, that does not mean a lawsuit must ensue. If you can show a plaintiff’s counsel you have robust safety and training procedures in place, they may feel less confident about proving negligence and decide to settle out of court or drop the case altogether — reducing the likelihood of a seven-figure jury award. Product liability. If you modify the attractions in your FEC without permission from the manufacturer you may legally be considered the manufacturer in the event of a product failure. If they fail and cause injuries, you could face a product-liability claim. 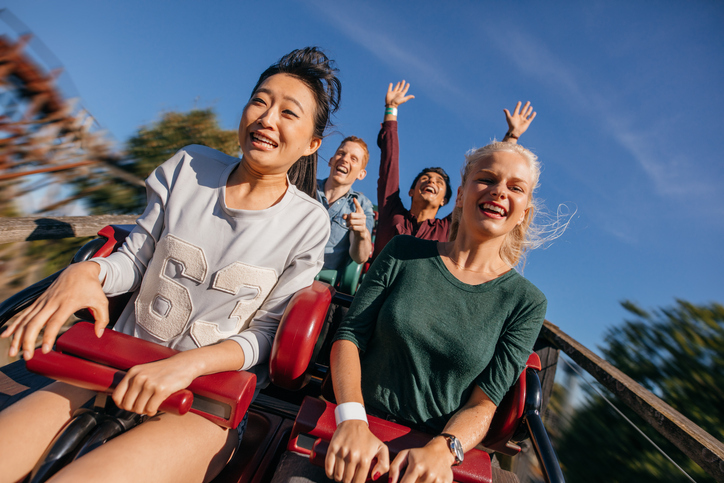 If you purchased the attraction from a third party, you might share a fraction of the liability, depending on the laws of your state and if the third party does not carry collectible product liability insurance. Negligence. If you or your employees fail to exercise reasonable caution to prevent injuries — especially injuries that are easily anticipated — you could be vulnerable to a negligence claim. Criminal liability. Violations of criminal law often involve fines or even incarceration. They also can make it harder to defend against a negligence claim. – Premises liability. Property owners and managers need to keep their premises free of dangers. Slips on water and ice, for example, often fall under premises liability. – Inadequate security. Failing to protect customers against criminal actions like robbery and assault can invite litigation. State laws. Liability laws vary widely from state to state, so it’s important to understand which legal principles apply where you live. Operator age, experience, training, and distractions. Was the operator texting a friend or talking on a cell phone? Company policy on drug and alcohol use. Do you require testing, and how often are your people checked? Do you have any blemishes on your record in these regards? Was it properly equipped with all manufacturer-supplied or recommended safety equipment? Your first priority beyond any notion of staying out of court is to keep your people safe — customers and coworkers alike. Following the procedures outlined here will help you develop a systematic and thorough risk-reduction policy that advances that goal. Liability insurance is one of the best backstops against the potentially crushing costs of lawsuits. McGowan Program Administrators provides a robust coverage package for owners of family entertainment centers. Talk to us if you need expert guidance on the insurance component of risk management in your FEC.